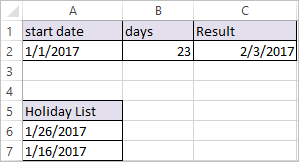 The WORKDAY.INTL Function in Excel takes a date as input and returns the nearest working day in the future or past, based on days value you provide. You can also exclude holidays. It is similar to WORKDAY Function in addition to that WORKDAY.INTL Function allows you to customize which days are considered weekends (non-working days). 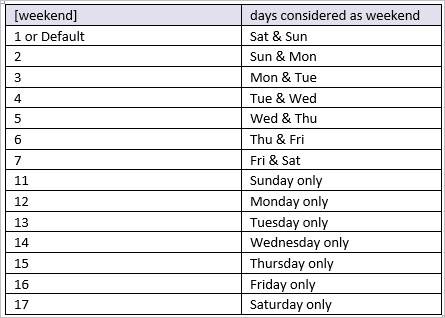 holidays – [optional] A list of one or more dates that should be considered non-work days. 11 supplied as input to weekend argument which denotes only Sunday as weekend.